Having gold as an investment is still a smart thing to do, even though the returns are not what they used to be. Of all the precious metals, gold remains the most popular to have as an investment and it’s a great way to diversify risk. Even though the gold price today isn’t as high as it has been in the past, particularly after the 2013 slump, it remains a great asset to have. Gold was always seen as an investors' safe haven in times of financial turmoil and that remains the case today. Even if the prices aren't what they used to be, the risks remain low. The internet is the best place to keep track of the price of gold as it can fluctuate dramatically, particularly if political tensions in places where gold is held continue to increase. Sites like bloomberg.com/gold-prices and telegraph.co.uk will keep you up to date on the news concerning gold and give you the gold price today whenever you need it. You can also keep track of the price of gold through apps for your smartphone. This is the best way of keeping in touch with any investment. You can download an app from the iTunes app store for iPhone or through Google stores for Android devices. Gold Live! for Android is highly recommended and the best iPhone gold price app is simply called “Gold Price”. Investing in gold isn’t a cheap hobby but it could be a lucrative pastime if you’ve got the capital to get started. 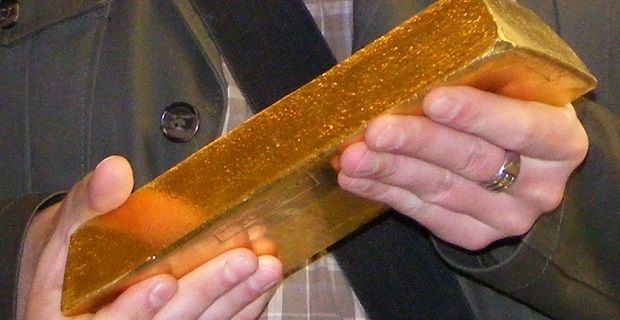 Experts believe that the price of gold is set to increase dramatically through 2014 so it’s time to start buying.